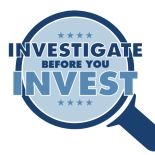 See Where Your Investment Is Being Put To WorkWatch Now! How long has Owner Builder Loans, LLC (OBL) been in business? OBL was founded on June 3, 2011. When I invest with OBL, how is my investment used? We use your investment to help us fund more construction loans to our borrowers. Has an investor ever lost money with OBL? Who borrows money from OBL? We give construction loans exclusively to individuals who want to build their own home. How do OBL’s borrowers pay OBL back? When our borrowers finish building their home, they refinance their construction loan through a different mortgage company. That’s when we get our money back and we can start funding another construction loan. As an investor, am I assigned to a specific construction loan, and if yes, what do I have to do? Has OBL ever had to foreclose on any of their construction loans? If OBL forecloses on a loan and experiences a loss, who pays for the loss? Whenever we have a loss, it comes out of OBL’s pocket, not yours. Are there any costs, fees or commissions I have to pay? How is my investment protected? All investors’ investments are protected from potential Company losses by the Company’s equity. OBL operates under a very conservative Company Equity Policy that prohibits the company to have more debt than its equity. Accordingly, all Company losses from operations, if any, will first be absorbed by the Company’s equity. Thereafter, the company’s mortgages on the real estate properties arising from the Company’s construction loans to its borrowers are assets of the Company which provide further underlying protection to investors. Simply put, before any investor can incur any level of loss, we would first have to lose our entire equity and we are too good at what we do to let that happen. How do I make an investment with OBL? Request a copy of our Private Placement Memorandum. Have lunch with our C.E.O. He will travel to come meet you in person. Sign our Subscription Agreement to confirm the terms of your investment. Make your check payable to Owner Builder Loans, LLC. Your investment will begin earning interest the day we accept it.